It's not easy being green: Can the cannabis green rush ever be truly eco-friendly? It’s not easy being green: Can the cannabis green rush be truly eco-friendly? As cannabis cultivation booms, the industry will have to deal with the impact of its agriculture on the environment. Can the green rush ever be truly eco-friendly? 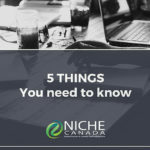 Canada’s cannabis sector is entering a new era of legalization, but ensuring that this green economy is green in a whole other sense has become a key business focus for some of the leaders in this budding industry. A 2017 study by Global Footprint Network, a California-based sustainability research organization, found that indoor cannabis production facilities can have 370 times the ecological footprint than that of a greenhouse operation. The researchers measured factors such as waste production and management, byproducts, water use, and energy consumption. Then they used the metric of global square metres (the amount of biologically productive land needed to produce a given amount of output) to compare the ecological footprint of three facilities: a greenhouse in Colombia, an indoor operation in Colorado, and a Washington state hybrid greenhouse that uses supplemental heating and cooling systems. 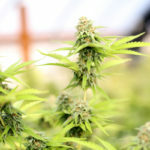 The results were staggering: the Colorado grow-op required 3,700 global square metres to produce a kilo of dried cannabis flower compared with 10 square metres for the Colombia greenhouse and 80 square metres for the hybrid greenhouse in the Evergreen State. In the pre-legalization black market, growers refined and perfected the science of growing cannabis indoors, where light, water and nutrients can be tightly managed and pests and disease carefully controlled. However, indoor grow operations have extremely high energy demands. 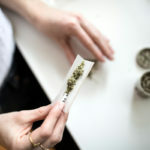 The fact is, cannabis is a greedy plant, and it requires plenty of light and lots of water— anywhere from eight to 24 litres per plant, per day. 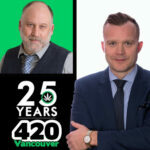 Dr. Jon Page, co-founder of Vancouver-based Anandia Labs, says the issue of sustainability has been lost in what he calls the “green rush” as firms and entrepreneurs scramble to capitalize on this emerging marijuana market. However, alongside the corporatization of cannabis is a budding movement to ensure this sector doesn’t become simply another industrial agricultural commodity that’s harmful to the planet. 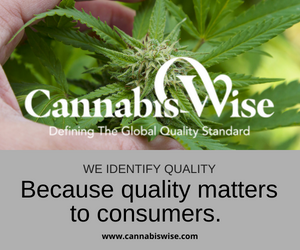 That’s the aim of the Cannabis Conservancy (TCC), a certification organization with offices in New York, Colorado and Nelson, B.C. Brittny Anderson and Jacob Policzer met when studying for a master’s degree in environmental science and policy at Central European University in Budapest and founded the conservancy when they met up back in North America at the time when Colorado was legalizing cannabis. “We realized that this sector could go down two roads: industrial agriculture that is energy- and water-intensive, and reliant on pesticides, or outdoor-based that uses intercropping, available sunlight, water conservation and waste reduction and management,” says Anderson. 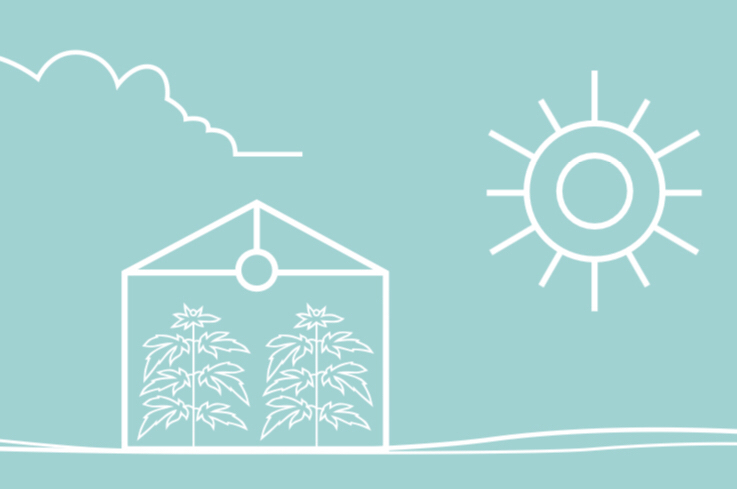 TCC adapted models that have been used in agricultural systems to develop its Sustainability Certification, which is tailored specifically for the cannabis sector. Anderson calls it “very rigorous”—a procedure that examines all aspects of operations, including waste production and energy, water and pesticide use. So far, three California producers have achieved certification. Elsewhere in the United States, progressive cannabis entrepreneurs like L’Eagle, a Denver grower and dispensary owned by the husbandand-wife team of John and Amy Andrle, are taking the lead on sustainability; in 2016, L’Eagle acquired the Certifiably Green designation from the Denver Department of Public Health (and is so far the only cannabis business in Colorado to receive the designation). However, Anderson says the Canadian sector is lagging behind simply because it’s an emerging sector and there is not enough competition. B.C.-based cannabis entrepreneur Dan Sutton, a 2008 University of Victoria economics graduate, admits he was entrenched in the concept of growing marijuana indoors when he launched Tantalus Labs in 2012. But it didn’t take a lot of reading and research to convince Sutton that greenhouse growing is better for the planet—and better for the bottom line. Intuitively, it seems like a no-brainer; historically this thirsty, light-hungry leafy green plant has thrived in outdoor conditions, and sunlight is an abundant—not to mention free— commodity. In comparison, high-intensity lamps for indoor operations not only consume huge amounts of energy, but they also produce heat that requires HVAC (heating, ventilation and cooling) systems to prevent overheating, which in turn adds to an already hefty energy bill. Sutton estimates that, with its greenhouse operation in Maple Ridge, Tantalus is reducing its carbon emissions by approximately 4,600 kilograms per kilo of cannabis produced. 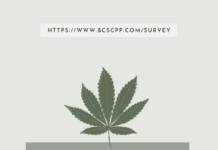 But even more importantly for the business, the Vancouver company’s production costs are roughly one-third of what they would be with a similarly scaled indoor grow-op. “The sustainability piece is very important, but I think economics will be the big driver,” Sutton says. Greenhouse growing, old hat for Lower Mainland tomato farmers, is starting to catch on. 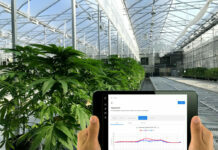 Recently, Village Farms International and Emerald Health Therapeutics announced a joint venture to build a greenhouse operation in Delta that will be the size of 19 football fields. 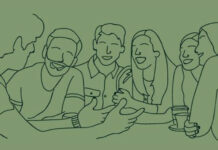 So far, companies like Tantalus are relying on relationships to share their sustainability stories. 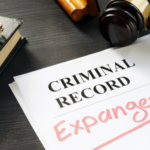 However, the Cannabis Conservancy’s Anderson says that without third-party verification and oversight, sustainability claims can easily fall victim to greenwashing. Terry Lake, a former Kamloops mayor and two-term BC Liberal cabinet minister, is now VP of corporate social responsibility for Hexo (formerly known as Hydropothecary). He says getting growers out of indoor bunkers and into greenhouses requires overcoming decades of practice and growing techniques that were developed in an era of prohibition. “The cannabis sector is sort of like the beer market today. You’ll have the big industrial growers that are like Molson and Labatt, and you’ll have all kinds of craft producers,” Lake says. Whether companies are growing indoors or out, Lake feels Canada is well positioned to be a leader in the sustainable cannabis sector, given its relatively cheap and abundant renewable energy in the form of hydroelectricity as well as its wealth of water resources. Compared with other jurisdictions—like Colorado, which was an early mover in the cannabis legalization game but is reliant on coalfired electricity for more than 80 percent of its electricity needs—the picture looks even brighter for Canada. Lake points to another positive emerging from legalized cannabis: the better regulation of waste production and treatment, which went completely unchecked in the black market. Like Tantalus, Hexo has adopted greenhouse technology, and its new 250,000-square-foot facility in Gatineau, Quebec, also uses captured rainwater for irrigation. 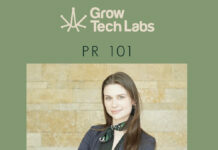 “The cannabis industry is still in its infancy. That’s why I think it’s important that we focus on our footprint, our water use, carbon emissions and our overall impact,” Lake says. 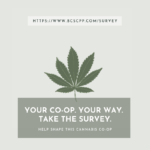 According to Lake, Hexo is in early discussions about seeking third-party verification for its practices, along the lines of the Forest Stewardship Council and B.C.’s Certified Organic Program, but he was not able to provide any further details. Kelly Coulter is a long-time cannabis activist and aspiring cannabis producer who recently relocated to Vancouver Island’s Cowichan Valley with plans to cultivate outdoor cannabis for the recreational market using regenerative agriculture practices based on biodiversity, soil enrichment and carbon capture. She calls it “slow cannabis,” after the slow food movement that favours small-scale, local and organic production over large-scale corporate agribusiness. 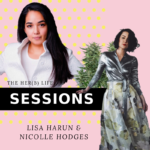 She sees opportunity in a new paradigm of legal cannabis and transparency that allows a connection between buyer and supplier that doesn’t exist under black market conditions. 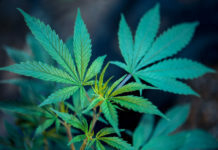 “Cannabis start-ups will have to develop a niche in the market, and what better way than to be able to tell customers that they’re growing cannabis in a manner that doesn’t harm the planet,” Coulter says.